Incredible toughness is required of you when you're spending time outdoors. Similarly, incredible toughness is required of your attire, especially your footwear. 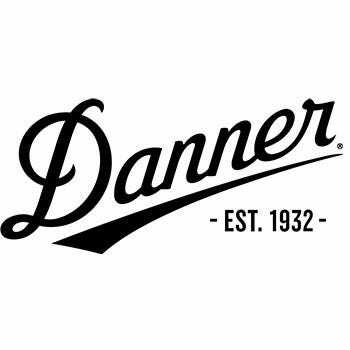 These Danner Men's Khaki 32241 Explorer 650 Hiking Boots from Working Person's Store are specially desi ... (see full details) (see specifications) #32241. Incredible toughness is required of you when you're spending time outdoors. Similarly, incredible toughness is required of your attire, especially your footwear. These Danner Men's Khaki 32241 Explorer 650 Hiking Boots from Working Person's Store are specially designed with the durability you need when you're hiking and exploring nature. But more than that, they offer comfort and protection from wetness, too. It all starts with the exterior of these men's khaki boots. The rugged upper is crafted from full-grain leather and nylon. Leather and nylon both provide intense, reliable strength. Combining them creates a highly abrasion-resistant upper that you can trust to last. Beneath the upper is a Vibram Escape outsole. It's a custom outsole made for Danner's Explorer 650. It features self-adapting lugs and a specially formulated Megagrip compound, both of which provide an incredible grip on wet and dry surfaces alike, making these Explorer 650 hiking boots perfect for outdoor use. These men's leather and nylon boots are also ideal for outdoor use because they are waterproof. They feature Danner Dry technology, which comes in the form of a waterproof barrier. It keeps your feet dry inside and out because it allows interior moisture to escape while preventing exterior moisture from entering. To keep your feet comforted during a hike, these men's abrasion-resistant boots are built with a removable Ortholite footbed and a Vibram SPE midsole. The Ortholite footbed offers three layers of polyurethane that vary in density. The combination of all three layers provides maximum cushion beneath your feet to soothe them throughout the whole wear. Plus, the layers of polyurethane features an open-cell design, which promotes better heat dissipation, even weight distribution, and increased air circulation. In addition, the Vibram midsole in these full-grain leather waterproof boots offers more cushion. It's crafted from rubberized EVA, which offers just as much support as traditional EVA but more durability. The best thing about the EVA midsole is its shock absorbing ability. It takes the hit of the ground's impact and redirects it into your steps to energize your feet. Incredible toughness, protection from wetness, and amazing underfoot support can be yours with these Danner Men's Khaki 32241 Explorer 650 Hiking Boots. Get them here at Working Person’s Store today. Danner Boots: Men's Khaki 32241 Explorer 650 Hiking Boots is being added to your cart.